The James E. Pepper Distillery dominated the western edge of downtown Lexington, Kentucky for decades until it closed in 1958, and what was at one time the country’s largest Bourbon distillery became a rundown eyesore. Several years ago, entrepreneurs bought several of the distillery’s buildings and started building bars, a brewery, galleries and other businesses in the “Distillery District.” Last December, Amir Peay’s Georgetown Trading Co. brought distilling back to the district when he reopened the James E. Pepper Distillery using part of the original distillery building. 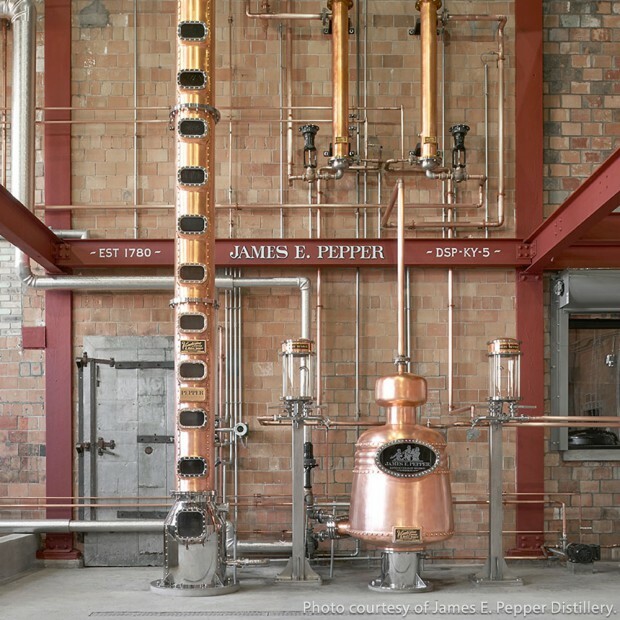 This week, the distillery opened its doors to visitors for the first time to show off the heritage – and the future of the Pepper brand. Amir Peay joins us on WhiskyCast In-Depth. We’ll also have details on Sazerac’s Tennessee Whiskey plans, along with the opening next month of Stauning Whisky’s new distillery in Denmark and much more!